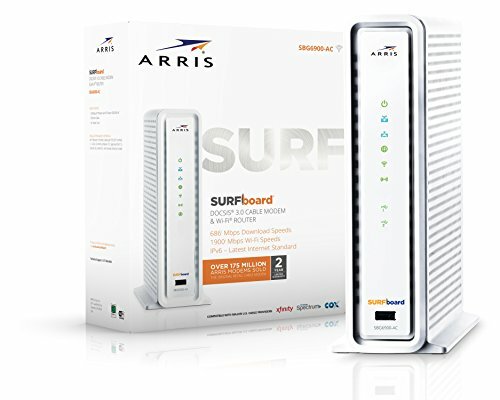 The Motorola Arris SBG6900AC wifi modem is one of the fastest, most compatible modem devices available. If your cable speed is over 300mbps and you want a 2-in-1 device, this is the perfect unit. With speeds up to 686mbps, wireless AC network and 4 gigabit ethernet ports, you should be future proofed for the next several years.